An air of self-congratulation wafted off the panjandrums as they passed judgement on the commemorative events of 1916. ‘That went well’, they concluded: no outbreaks of civil disturbance, no attacks on state power, not even a discernible spike in support for advanced nationalism. A sigh of relief all round. But 1916 was the easy one—a single, contained event that allowed due respect to be shown to the participants and due deference to be paid to the unfortunates who unintentionally got caught up, while the role of women and children was more than generously acknowledged. A benign nationalism was reasserted: this was the politics of the anti-politics machine. The War of Independence and the Civil War mightn’t be so easy. Civil wars are nasty things, and defining what a civil war is is no easy matter. In an era of ‘fake news’ (lies), the civil war offers a real opportunity to engage with historical meaning, historical relevance and a wider world. Since the Second World War the number of interstate wars has dwindled to practically zero, while the number of civil wars has risen proportionately: rather than reiterating already well-known accounts of negotiations and fallouts, engaging in moments of faux solemnity and risible protestations of reconciliation between members of a political élite who are already—and have been for a long time—reciprocally assimilated, it might be much better to look at Ireland’s civil war in a world context, both historically and contemporaneously, and to link domestic history with today’s world concerns. Was the Irish War of Independence a civil war? If an argument can be made that the American War of Independence was a civil war within the British Empire, can it not be said with even more justification that the Irish War of Independence was a civil war within the United Kingdom? If the US Civil War was a war of secession, as was the Nigerian–Biafran civil war of 1967–70, why not Ireland, 1919–21? It conforms perfectly to the template: a group, perceiving itself to be suppressed, asserts the right to independent statehood, violently if necessary. The existing state asserts its right to territorial integrity and overarching authority, using coercive violence to do so. Secession leads to civil war. Metropolitan powers are coy about admitting that they might be subject to such trauma: France 1940–4, a civil war? Non! 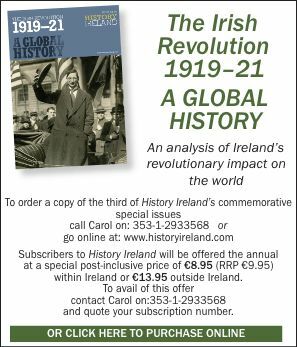 For the British, therefore, it was an uprising; for the Irish (never having properly been part of the Kingdom) a war of national liberation. But, whatever the War of Independence, the Irish Civil War was a civil war: obeying Edward Thompson’s dictum about historians learning how to listen, that’s how people described it at the time, and have done so ever since. Following on Bill Kissane’s recent work, David Armitage seeks to provide a historically based theory of civil war: a working definition at a time when having a conflict designated a civil war has serious implications for aid and intervention. He breaks his book into three parts: the Roman invention of civil war and how it is remembered; early modern civil wars of the seventeenth and eighteenth centuries, and how they were conceptualised; and modern attempts in the nineteenth and twentieth centuries to codify and regulate civil war. He ends with a short discussion of what civil war might mean today, when polities, identities and loyalties overlap and contradict in ways that make civil war internal and external simultaneously. He does all of this in a deceptively easy manner. From Rome are derived three enduring narratives. Republican: endless, repetitive civil wars springing from the very roots of Rome itself. Imperial: civil war as persistent disease of the body politic, cured only by monarchical restoration or imperial exaltation. Christian: civil war as besetting sin of a city dedicated to the things of this world rather than the glory of God. These narratives would be applied to later episodes of political and military disturbance in Europe until well into the eighteenth century. Some might argue well beyond: the classics (empire, the raj) and Christianity played a significant part in the intellectual and moral formation of later generations, not least in Ireland, until quite recently. Although Armitage doesn’t say so, you might conclude that endless civil war persists in places without ideas of progress: Yorubaland in the nineteenth century, for instance. Progress, an invention of the late seventeenth century, allows civil war to mutate into revolution—human liberation and a truly modern phenomenon—nearly a century later. The Swiss writer Emer de Vattel was the great conceptual innovator here in the middle of the eighteenth century. From Locke he cautiously endorsed resistance to unjust rulers. He advocated the Hobbesean sovereign, free and independent state; from Grotius, an interest in the definition of war and the laws needed to regulate it. His influence was profound. All class war might be civil war but the synthesis was revolutionary, said Lenin. But the collapse of Communism in 1989 elided the two concepts in a discomfiting binary: not so different after all. Civil war replaces revolution as the topic à la mode in concerned society. 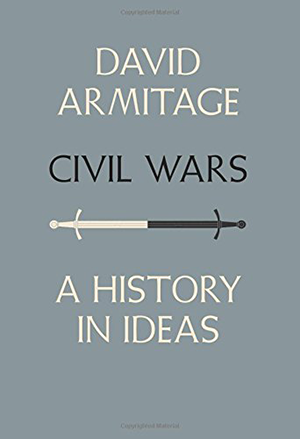 Importantly, Armitage traces attempts to define civil war adequately, from the American Civil War to the Geneva Convention and beyond, and what kind of responses to human calamity, from Rwanda to Yugoslavia, these might enable. Post-independence Ireland conforms perfectly to Foucault, in his inversion of Clausewitz, when he said that politics is the continuation of civil war by other means. Eoin Dillon is a scholar of twentieth-century African history.